Social Thread is committed to ensuring the privacy of all users’ (“Users”) information. Social Thread will collect general information about you, such as your name, address, contact details so Social Thread can contact you. We may also collect this and other types of personal information during the course of dealing with you, for example when you wish to obtain goods or services from Social Thread, when you register for conferences or events, and when you participate in Social Thread activities or complete other forms. Social Thread will not collect any personal information about visitors to the website except when they knowingly provide it. In order to make a payment to Social Thread, all Users will need to submit certain personal information about themselves (as prompted by the Website and/or Application), including their name, phone number, postal and email address. Users may be asked to submit further information from time to time.  Social Thread takes precautions — including administrative, technical, and physical measures — to safeguard your personal information against loss, theft, and misuse, as well as against unauthorized access, disclosure, alteration, and destruction. Online contributions to the ministry Social Thread are considered to be non-refundable. The refund policy for specific events is determined according to the nature of event. The event refund policy is posted within the event registration form.